One of the most exciting things about Kyrgyzstan is the potential for the growth of entrepreneurship. Over the last few months, I had the opportunity to travel all across this country and meet a wide variety of borrowers and potential entrepreneurs. 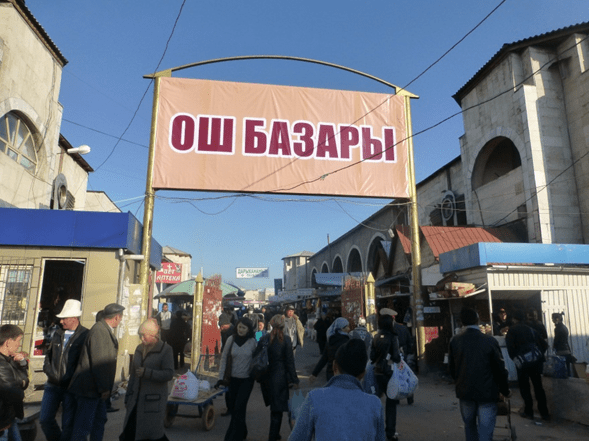 From young college students in Bishkek to farmers in the remote regions around Naryn, shopkeepers in violence affected areas of Osh to livestock owners in Batken. Just twenty years after the fall of the Soviet Union, there seems to be a lot of enthusiasm here for starting up small businesses. Looking at the demographics and the challenges involved, I would categorize Kyrgyz entrepreneurs into two major categories. First, there are the young college students and graduates from around Bishkek and other major cities who are interested in starting service-oriented businesses. Second, there are entrepreneurs from the more remote regions who want to start new farms and livestock businesses. 1) Manas: Manas, a warrior who united Kyrgyzstan, is undoubtedly the most popular folk hero in the country. You see this name everywhere. There are streets, statues, universities, radio stations, national parks, and many other things that are named after him. Even Kyrgyzstan’s main airport is Manas International Airport. During one of my borrower visits, I visited his final resting place, Ala Too mountain, in the northwestern city of Talas. There they have Manas Ordo, a historical park and museum built in his honor. It has now been three weeks since I landed at Bishkek’s Manas International Airport. It’s amazing how many new things I have experienced and learned in such a short amount of time: a completely different culture, new friends, exotic food, interesting Soviet architecture, the Russian language, and many more. I am now glad to add a new item to that list: my first ever horse ride!